Home / Down Memory Lane / St. Benedict’s coasted to victory, beating St. Joseph’s, the rain and that hoodoo! St. Benedict’s coasted to victory, beating St. Joseph’s, the rain and that hoodoo! The warning sign was very clear: The Josephians were about to face the toughest challenge in the history of Josephian-Benedictine inter-collegiate cricket. True, the Benedictines couldn’t record a win against the Josephians since 1917. But it’s history. Now things looked different. The Josephians were about to begin the 1964 season, but by then their opponent St. Benedict’s had already notched a couple of great victories – against S. Thomas’ and Royal. 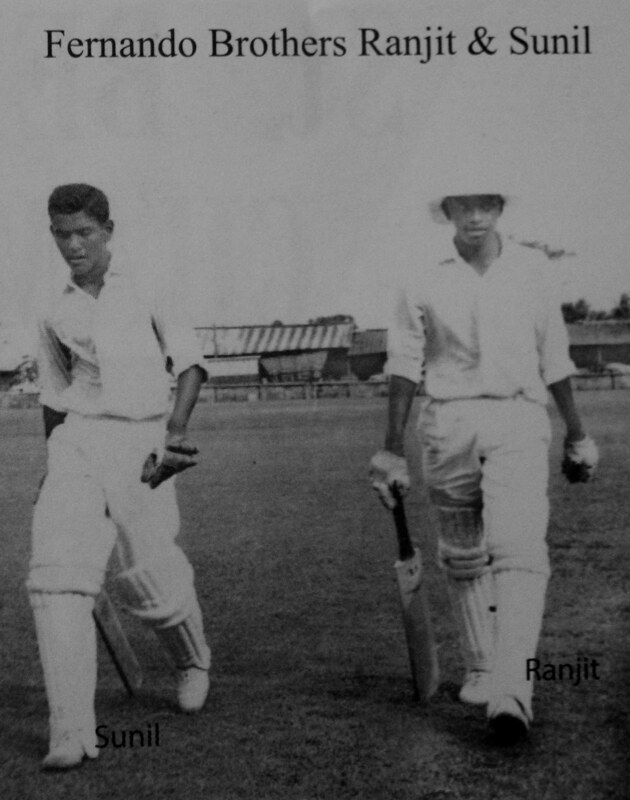 when SJC registered victory over St. Benedict’s in 1961 (SJC won by five wickets. Brian “Bumper” Perumal’s five-wicket haul and my hero Raja de Silva’s classic knock of 80 in the second innings are still etched in my memory as if it has happened only yesterday) and in 1963 (Victor Wickremasinghe and Earle Peiris were at the crease when SJC reached the target with two wickets in hand). Anyhow those two matches were played on our home ground matting wicket at Darley Road. Now the 1964 match is scheduled to play at the Kotahena turf wicket. Until then I haven’t been to the SBC grounds. Talk of our classmates, friends, staff members, and old boys during the third week of January 1964 was centered round the forthcoming SJC-SBC match. But I was in a dilemma. Busloads of questions circled in my mind. How could the pressman predict a Benedictine victory? Our season is yet to commence. How could they compare the ability of both teams? Our skipper, left-arm spinner Berchman de Alwis, single-handedly routed the Benedictines in the previous year. His bowling figures in the second innings in the 1963 match read: 20-04-49-6. Except for the wicket of Sunil Fernando (ct. Brian Perumal) all the other five scalps – wickets of K. Balendran, skipper Quintus Perera, Percy Perera, Felix Dias, Mervyn Fernando and Neville Pereira – were stamped “Stumped: Placidus Leanage, bowled: Berchman de Alwis”. Above all, what has the “devil and barbecue” stuff have to do with this match? With a little bit of extra effort – doing homework punctually, attending daily mass at school, no more reading of comic books, and also because of my constant pleas, I got permission to watch the match on both days. The first afternoon with my school friends from our village; second day with my Benedictine friends, and neighbours, the Peiris Tavarayan brothers. source of information on cricket we had at the time apart from the sports pages in local English dailies. Withanachchi (14 – 9 – 17 -1). St. Benedict’s ended the day on 104 for 8. (Mervyn Fernando 41, Joy de Alwis 5 for 31). ours were well placed. Already eight Benedictine batsmen were back in the dressing room. On the second day I was with my neighbourhood Benedictine friends, Maurice, Claude and Edgar. We arrived well in advance for the match. The general feeling was that something extraordinary, something unique, might happen. SBC sent back four of the best Josephian batsmen, inside half an hour. The magical scoreboard at the Kotahena grounds (really magic for me, because it was a completely modern scoreboard like the one I have seen at the Colombo Oval. The Darley Road scoreboard at the time was old fashioned – scores were changed only after every 10 runs!) read: 3 for 1, 3 for 2, 14 for 3 and 18 for 4. Polycarp Wijesekera lbw b. J.O.J. Perera 03, Anil Peiris bld. Withanachchi 00, Christopher Moreira bld. J.O.J. Perera 09, Senani Peiris run out 06. Benedictines to the accompaniment of thunderous applause. At no stage thereafter did the Josephian batting look comfortable. The Benedictine bowlers “bowled with much hostility” in their second attempt to dismiss the opponents for a meagre 63 runs. Bespectacled Alan de Costa tried his best to rescue the Josephian innings but was out for a laboured 16 (st. Ranjit Fernando b. Perumal). He was the only batsman to enter double figures. Thereafter a wicket fell, then another and another. Joy de Alwis ct. Sirisena b. Perumal 07, Berchman de Alwis bld. M. Anandappa 05, Victor Wimalasingham ct. Anandappa b. Perumal 01, Sunil Athukorale lbw. B. Anandappa 00. Peter Samarasinghe (04 n.o.) and Trevor Mitchell (run out 08). the wicket of opener Anandappa (bld. Joy de Alwis 00) early in the innings. the total to 87, just 13 runs away from the victory. The Ceylon Schools player Ranjit Fernando batted with absolute authority. He was patient yet aggressive; defensive yet always ready to attack. Suddenly the clouds darkened and heavy rain was in sight. 96 for 7. Felix Dias run out 02, S. Perumal ct. Athukorale b. Joy de Alwis 00, M. Fernandopulle b. Mitchell 00.
their team to a dramatic, yet historic victory. Previous Havies kick on for a centenary bash..